The list of Democratic candidates who have expressed presidential aspirations continues to grow. 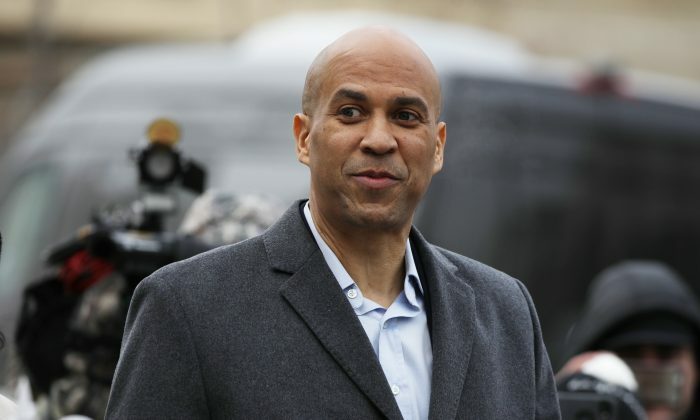 On Feb. 1, Sen. Cory Booker (D-N.J.) announced that he is throwing his hat in the ring. While some may see this as a positive development, the fact that the list is still expanding is quite telling and could be a cause for concern for Democrats. A cursory review of the various prospects reveals their vastly differing approaches to how they would lead the country. What this shows is that Democrats still have no consistent platform, and as a result, Republicans should continue to hammer home the president’s accomplishments, refrain from engaging in personal and petty verbal attacks, and focus on how to broaden the party’s base and followers. If they do so, they will help President Donald Trump considerably as 2020 approaches. Democrats are facing a similar problem to the one they encountered when Hillary Clinton faced then-candidate Donald Trump. They don’t have a message. As a matter of fact, some could argue that the party is in worse shape now because it has splintered into various segments. On the one hand, there are the old-school Democrats, who are rarely heard from. Then, on the other, there are the more moderate Democrats. Finally, there are the self-proclaimed socialist Democrats, such as Bernie Sanders and Alexandria Ocasio-Cortez. The “splintering” effect within the party was seen in the Florida race for governor, where Andrew Gillum defeated moderate Democrat Gwen Graham in the primary. While Gillum won the Democratic “ticket,” he eventually lost to Ron DeSantis. Moreover, he undoubtedly took away Democrat votes from those who might have voted for Graham or another candidate. In essence, given the different sects among the party, Democratic voters might be torn about who to vote for. For example, will moderate Democrats vote for a self-proclaimed socialist if he or she wins the Democratic nomination? This is an important question, the answer to which could have major implications in the 2020 election. Republicans can’t, and shouldn’t, ignore this question. To the contrary, rather than engaging in petty responses to baseless attacks on the president by some on the left and the media (as we have seen, many apparent “bombshell” reports about the president or his family have been discredited or shown to be false, such as the telephone calls involving Donald Trump Jr.), Republicans should focus on how to diversify their base. For example, Republicans would be well-served by focusing on how to attract younger voters (millennials) and women. A May 2018 article in The Weekly Standard identified some key points as to how young Americans could relate to Republican or conservative ideas and values. Young Americans are extremely interested in entrepreneurship, and without a healthy economy and a restrained regulatory state, they won’t be able to capitalize on their ambitions. Conservatives shouldn’t assume young people are lazy; instead, they ought to deliver a clear message to young Americans that ingenuity and hard work—not taxation and the regulatory state—are the engines that drive a better quality of life in our country. Also, young Americans tend to be more financially responsible than older generations, creating an opportunity for the conservative message on both fiscal and temperamental grounds. A conservative movement that speaks to young Americans about a shared belief in prudence, planning, and making responsible choices, both as individuals and as a nation, would resonate. Government can appear old, clunky, inefficient, and dramatically out-of-step in a world where friendly, artificial intelligence-driven devices in your home instantly tell you the news and ship almost anything to your front door overnight. Conservatives should have something to say to young people about the free markets that deliver so much of what gives them this material quality of life, and why ideas like socialism that failed dramatically in the past (often long before they were born) remain bankrupt today. Young Americans are also increasingly experiencing the effects of a loneliness epidemic spawned, in part, by the fact that genuine community and human connection have too often been replaced—inadequately—by screen time and social media. It’s true that social conservatism, which is often unfairly portrayed by the media as a basket of retrograde views on gender and sexuality, remains a nonstarter with young people, but the idea that families and communities need strengthening, that they aren’t replaceable by the state, and that they are essential to a fulfilled life is a message that conservatives should be shouting from the rooftops. Republicans need to focus on educating and reaching young voters. They need to continue to encourage women to serve in leadership roles within the party and as role models for others in their communities. Additionally, they need to highlight the value of family and community and the preeminent role that they play in living a good and fulfilling life. Tangentially, Republicans should continue to remind Americans of the president’s many accomplishments, and some of the items that still need to be addressed. Also, rather than engaging in personal attacks against those on the opposite side of the political spectrum, they would be better served by explaining why some of their opposition’s policies would hurt the country, if implemented. For example, Republicans should specifically explain why socialism doesn’t work (e.g., Sweden, Venezuela), why tax increases as high as 70 to 80 percent would cause businesses to leave and lead to fewer jobs, why comprehensive health care for all would be devastating and unaffordable, and why the Reproductive Health Act (and other such laws) has less to do with a woman’s right to choose (which is protected under Roe) and more to do with the fact that it allows a woman to abort a fully formed child who can live on its own outside the womb. As potential Democratic candidates continue to line up and the party tries to find an identity, Republicans have a golden opportunity to take what they learned from the midterm elections and spread their message so that it appeals and resonates with a broader segment of the population. When President Trump was elected, the American people wanted someone who would take care of them, first and foremost. They wanted a president who didn’t bow to special interest groups, who would boost the economy, create jobs, make the country more secure, and ensure that the United States put itself first. Throughout his first term, Trump has delivered. American voters are smart. They understand the issues that are important to them. They are also cognizant of the “fake news,” the made-up stories concocted by certain politicians, and the desperate measures taken by some in order to negatively impact the president and those who are closely associated with him. Rather than engaging in name calling, arguments, and back-and-forth banter, Republicans should keep their eyes on the prize, work on broadening their following (by way of education, etc. ), and continue to remind the American public of the president’s many successes. Elad Hakim is a writer, commentator, and an attorney. 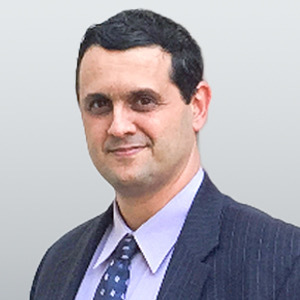 His articles have been published in The Washington Examiner, The Daily Caller, The Federalist, The Western Journal, American Thinker and other online publications.